one of several changes in iOS 6, has come under fire following the release of the company’s new mobile operating system. 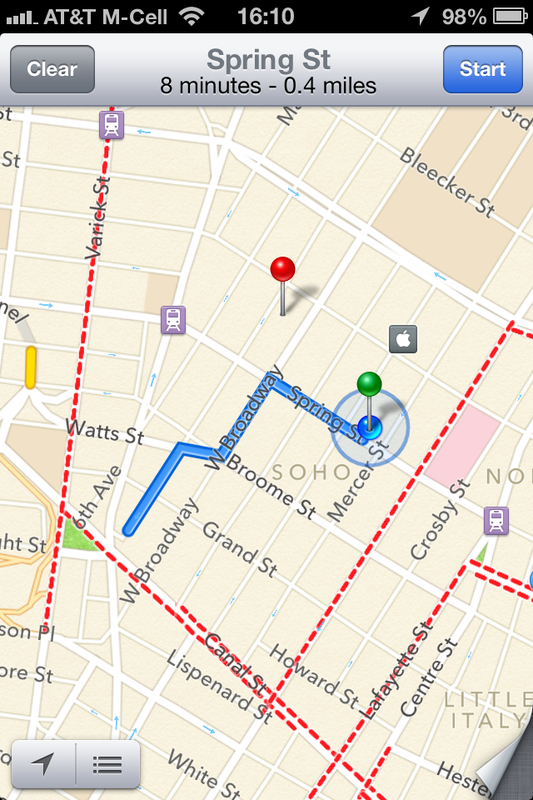 Customers complained the new maps option paled in comparison to the Google one that was used in previous systems. 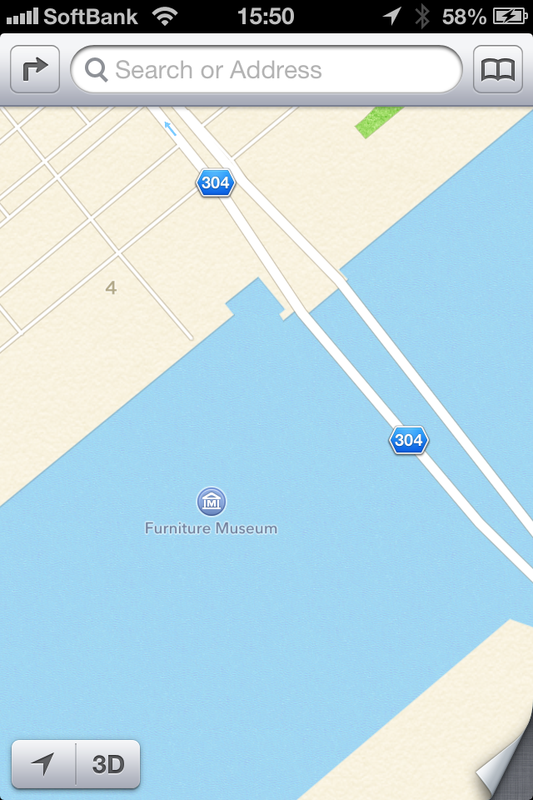 Furniture museum in middle of a river? Maybe it’s floating furniture museum. 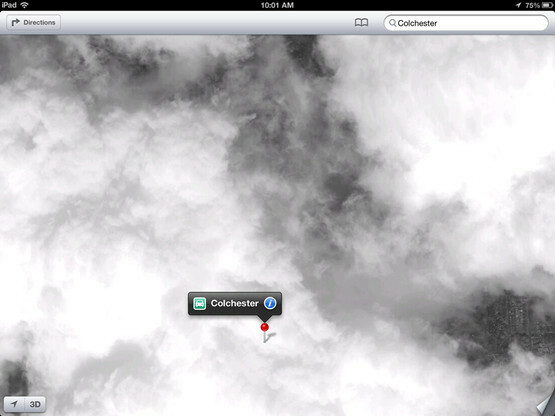 Maybe it’s always cloudy in Colchester? 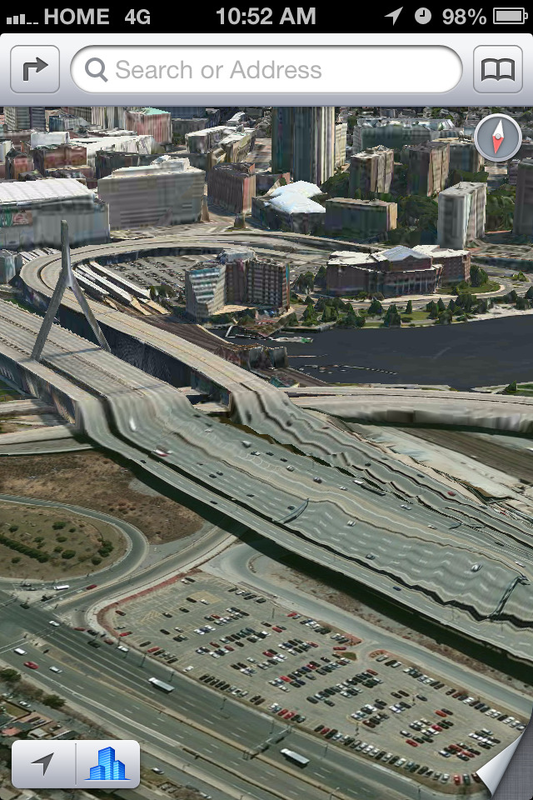 Erm, okayy… Looks fun to drive. Why go there? 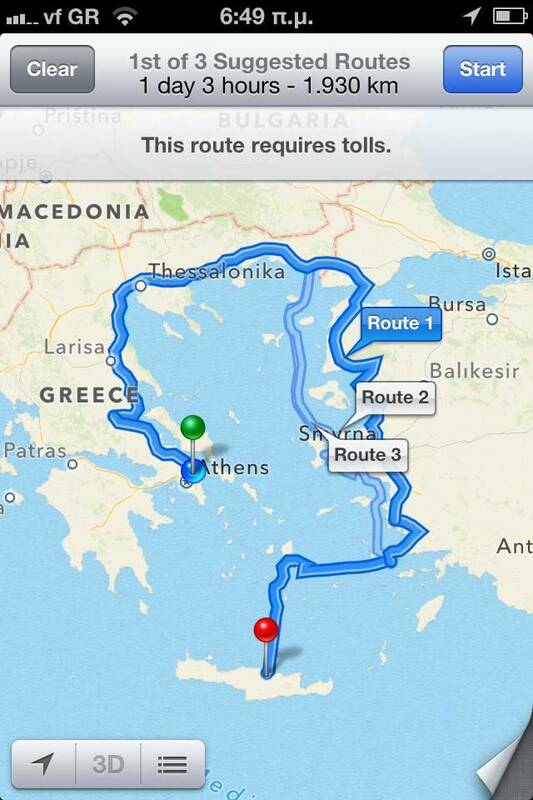 Apple Maps will take you somewhere better. 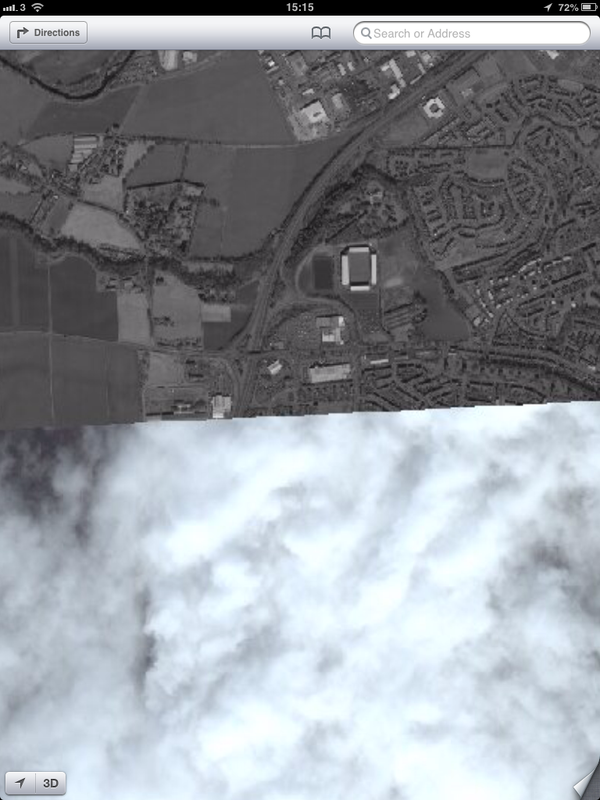 Not sure if Apple promoting their Cloud system or their maps. Have fun driving on this bumpy road, make sure you have your seat belt on. Lost, want to go home? 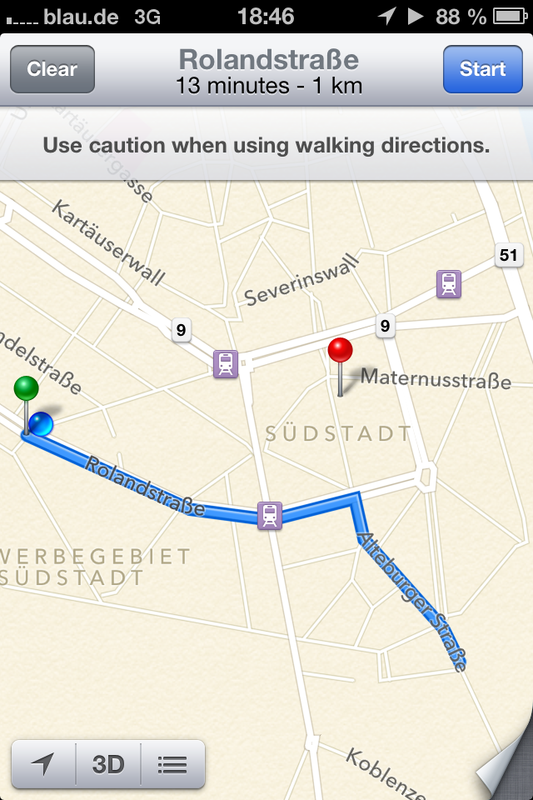 Well you can’t cos Apple Maps want you to go somewhere else. 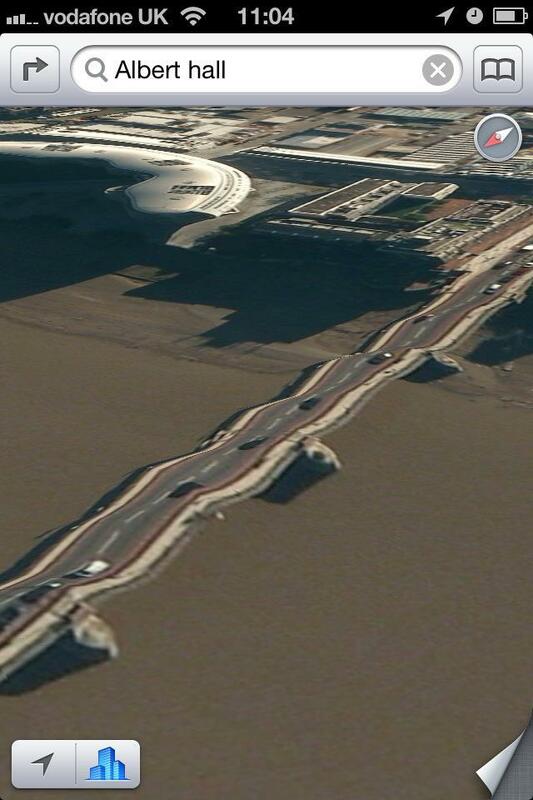 Apple Map is so future proof that it knows there will be either a floating train station or underground station under the river. 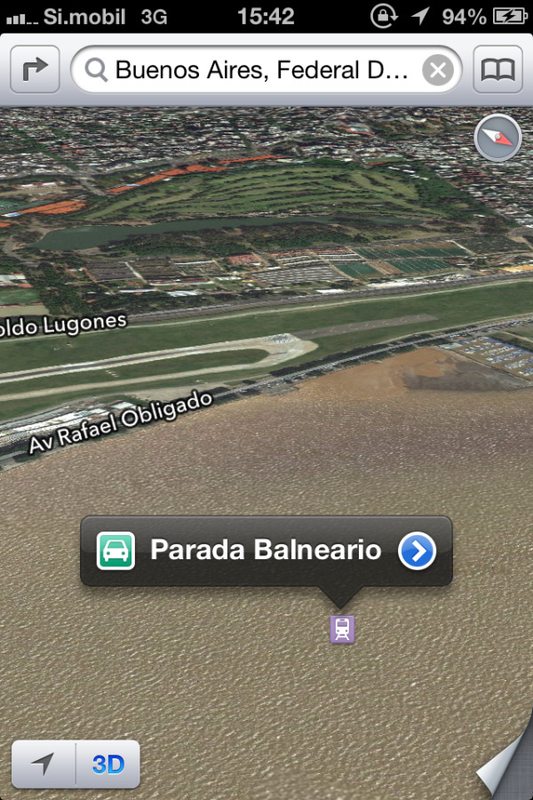 Why not take Route 3 suggested by Apple maps, I’m sure your car float on water right? No? Well maybe Apple will invent a car that can. Do I see a star? 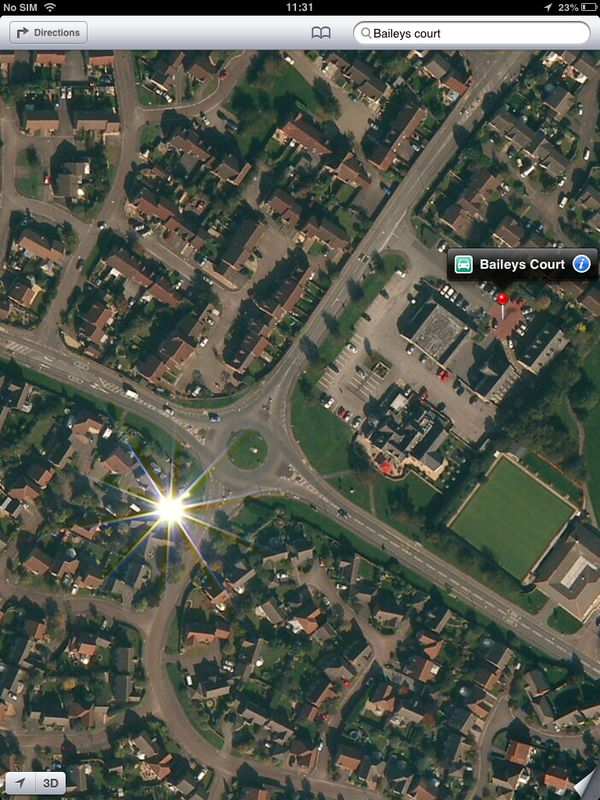 Apple map brings back Woolworths, yeeeey. I didn’t like Pound Land much.